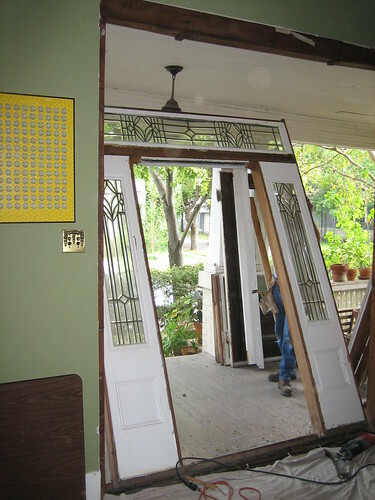 We had our new front door delivered and installed today. What a commotion! 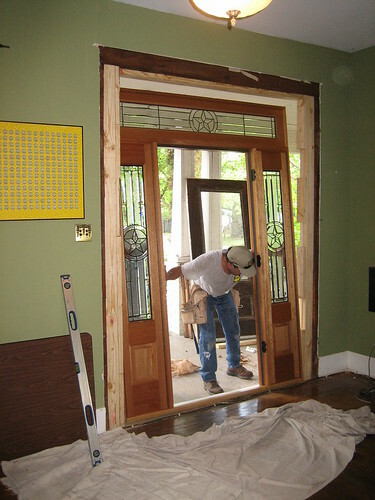 We've had such wonderful luck with the Pella window installers, and we got our first window guy, Eli, back for this door install, so I had no doubt that the results would be perfect. The man is a perfectionist, and super-nice besides. 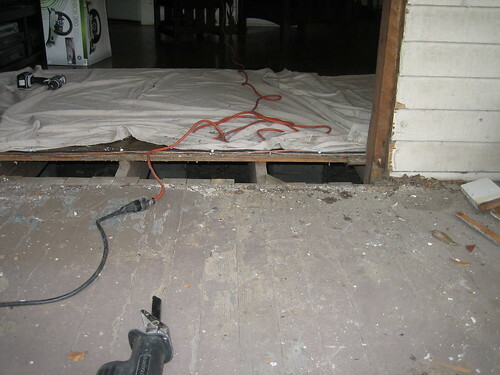 It was kind of fun to be here for this, because the hole in the front wall of the house between doors was Really Big. I also got to see first-hand that there really isn't a single tiny bit of insulation beneath our floor. The new door (with sidelights) is almost a foot narrower than the original, so there was some intermediate construction, and then Eli and his helper muscled the new door up the steps and into place. 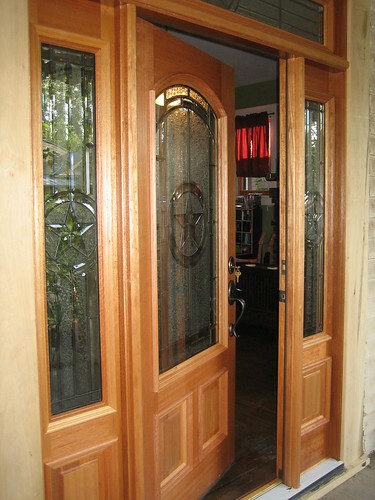 After a lot of futzing with the apparently not-quite-top-notch hardware we bought, we have a gorgeous new front door. It actually seals when it closes! There are no longer breezes in the living room! I think it would take a bazooka to get through this glass, as opposed to being worried whenever a sofa-arm-resting cat would sneeze. And oh boy is it beauuuuuuuuutiful!